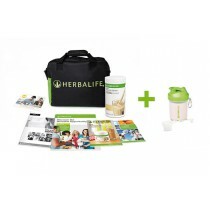 Start your own business with Herbalife! However, unlike many of the others, you are here, on the threshold of an exciting business opportunity. And the key to that opportunity is Choice. The Herbalife business opportunity allows you to decide the level of time and commitment you want to devote to your independent business. You can choose where and when you work; choose how you structure your business. Of course, the amount you get out will be directly proportionate to the effort you put in - but with Herbalife, that's your choice. All of this, whilst safe in the knowledge that you have the support of a successful, credible, international company behind you. With Herbalife, starting your own business is really straightforward and doesn't require any previous experience or education. An existing Independent Distributor will take you through everything you need to know, and continue to give you guidance and support to help you grow your business. So what are you waiting for? Take control over your life and choose Herbalife share our rewarding future. One man set out with a vision to improve the health and financial well-being of others. Over the last 30 years, this vision has grown into a globally respected brand and for 1.9 million distributors it has become a way of life. Herbalife's compensation plan is one of the most generous in the direct selling industry. It pays up to 73% of retail dollars to its Independent Distributors in the form of retail and wholesale profits, royalties and bonuses. The Herbalife Sales & Marketing Plan has been making dreams come true for over 28 years, and continues to change lives in 70 countries around the world. As an Herbalife Independent Distributor, you'll receive outstanding training, the support of a vast community of fellow Distributors, and constant support and assistance from an award-winning customer service team. The cornerstone of Herbalife's international reputation is a line of quality health products. As an Independent Distributor, you'll be retailing nutrition, weight-management, and personal care products, including ones developed by world-renowned scientists. People love our products because they work. Making a difference to other people's lives is probably the most rewarding aspect of becoming an Herbalife Distributor. You will be improving the well-being of your friends, your community, and people all around the world. You can be part of the network of Herbalife Distributors who literally change lives.